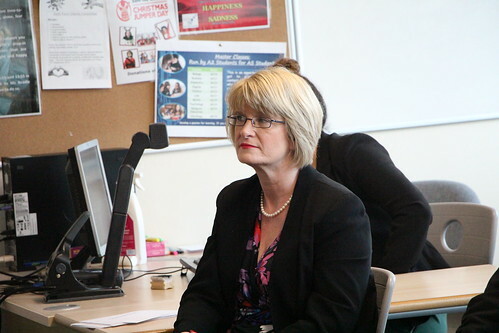 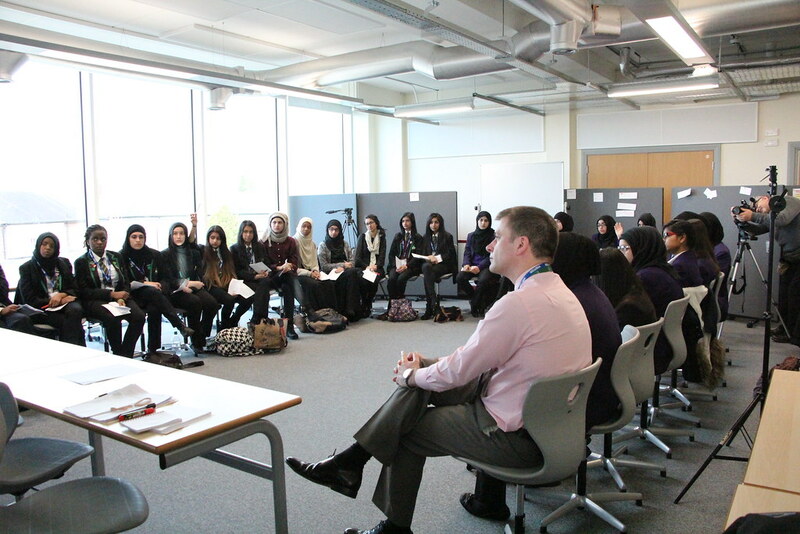 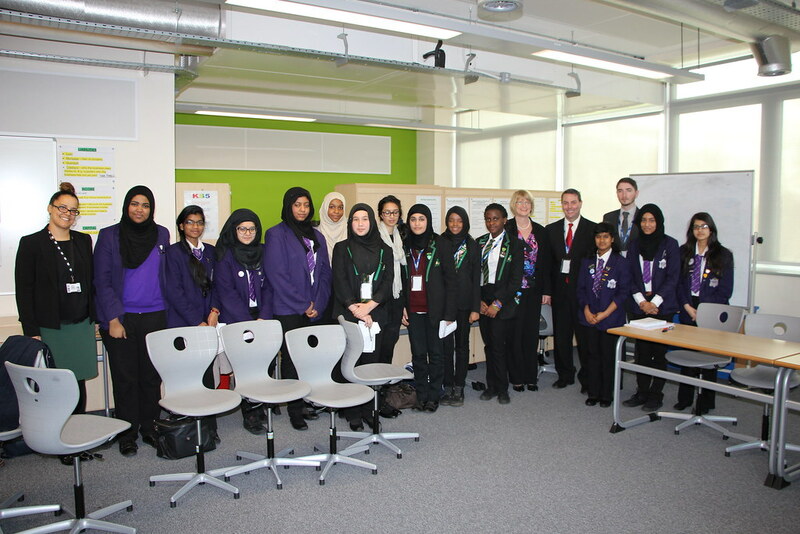 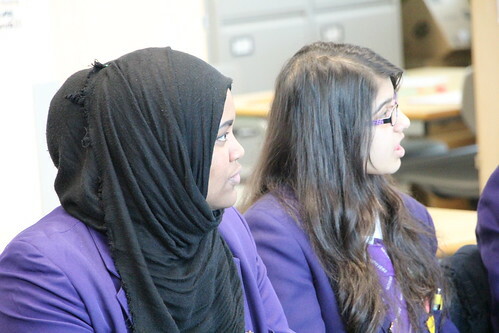 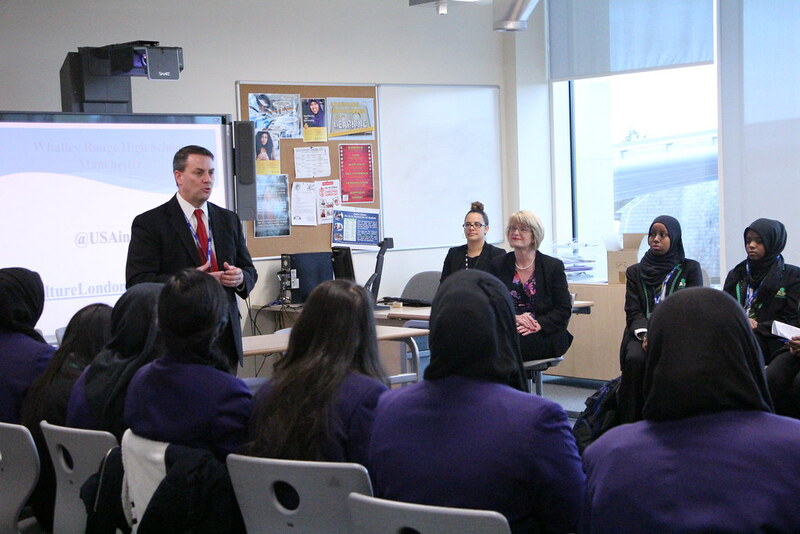 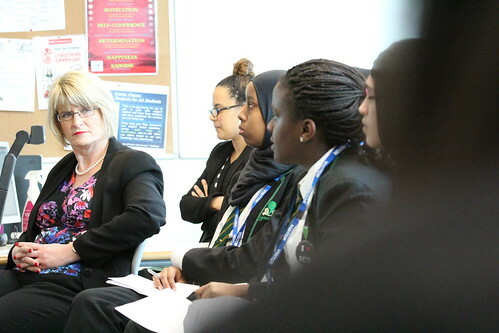 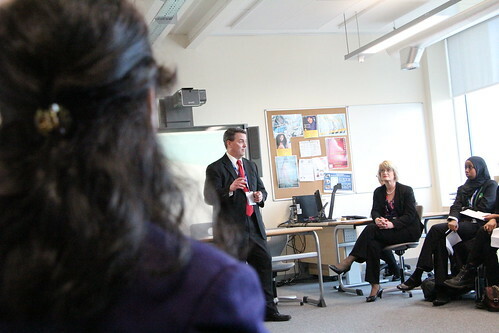 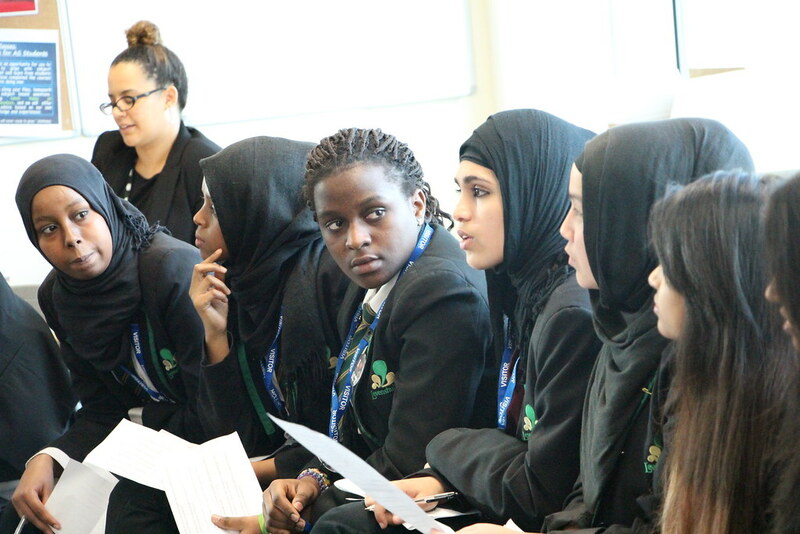 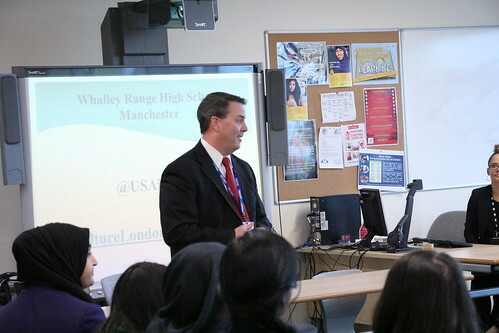 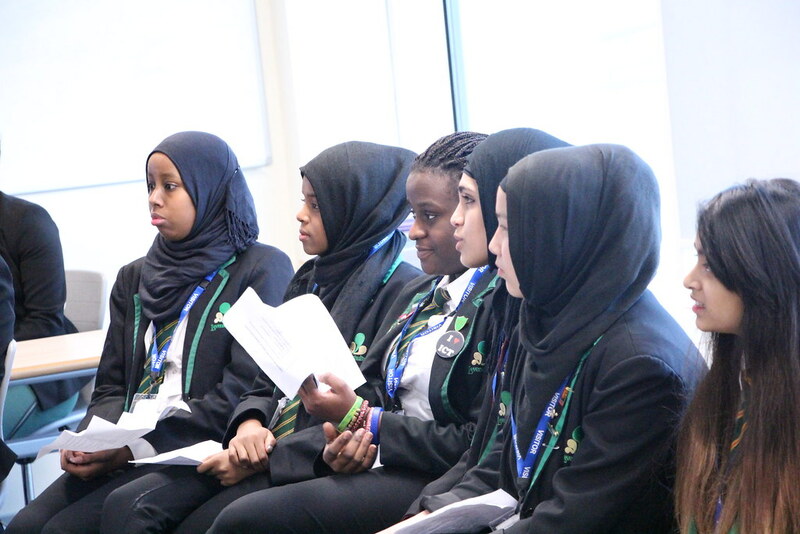 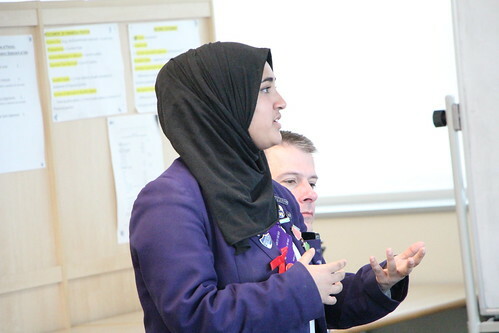 Representatives from the U.S. Embassy in London recently visited Whalley Range 11-18 High School to meet with students from two schools in the newly formed trust. 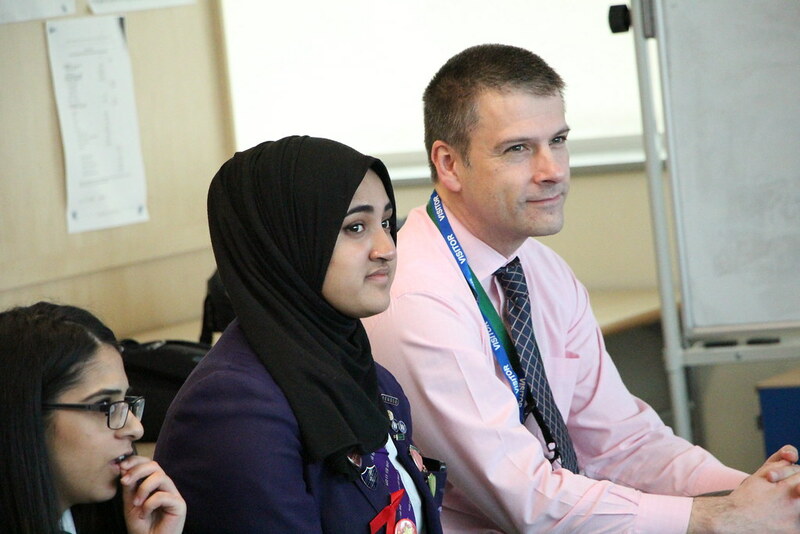 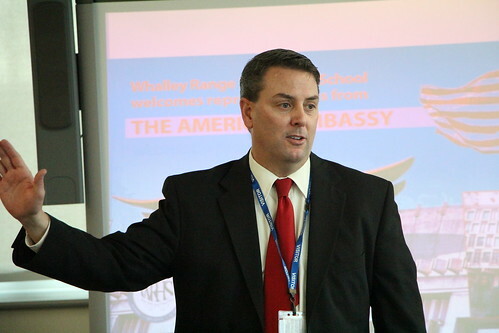 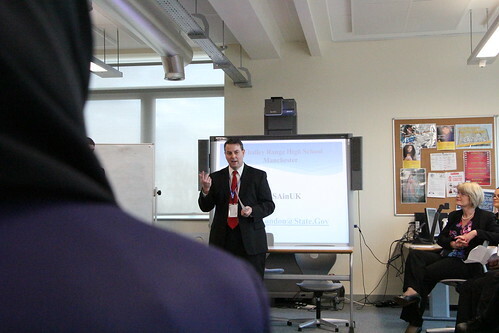 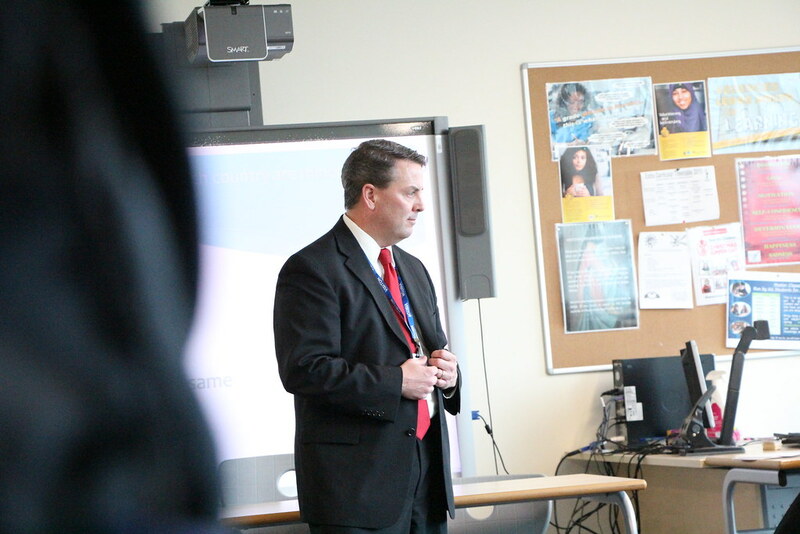 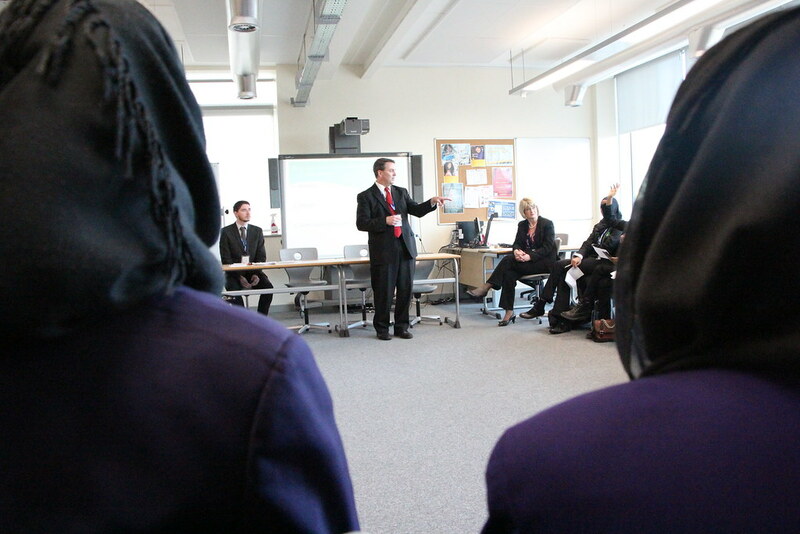 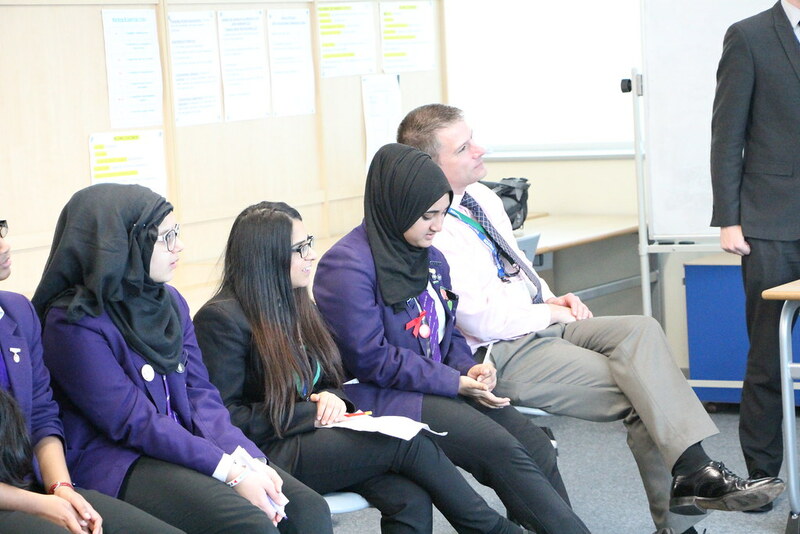 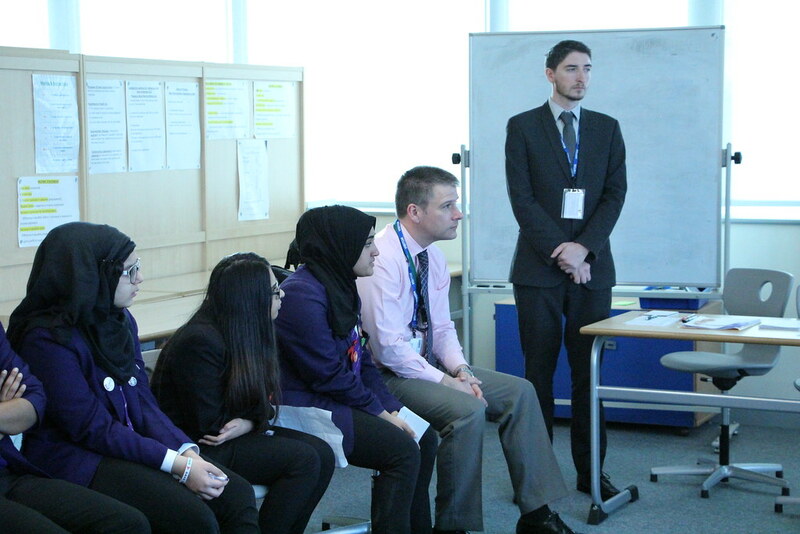 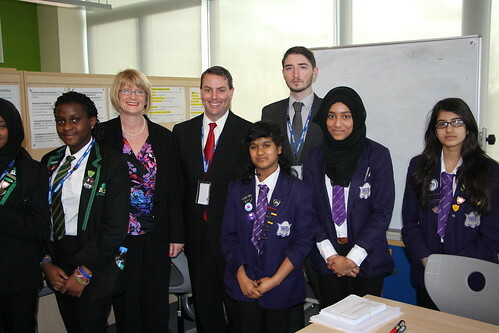 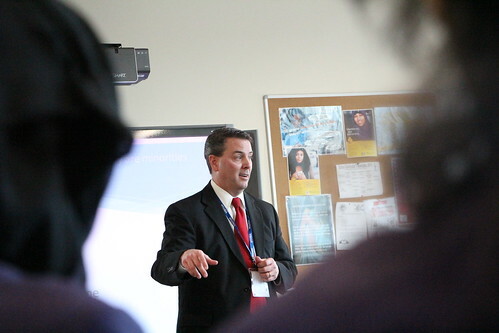 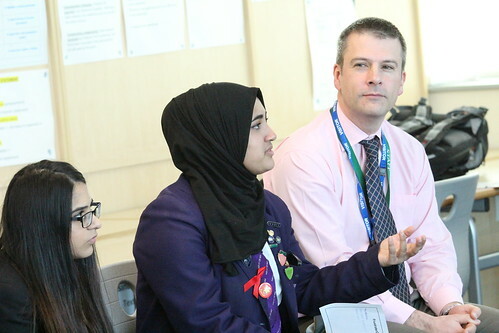 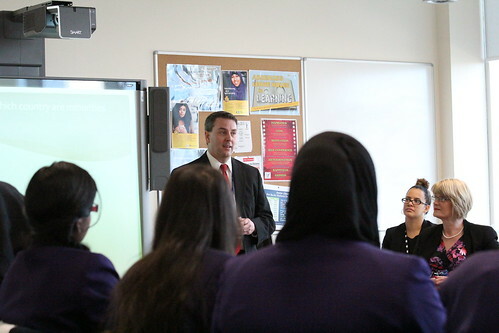 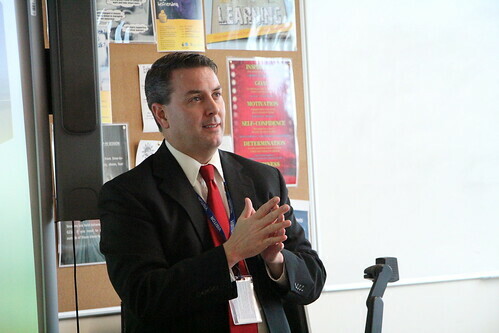 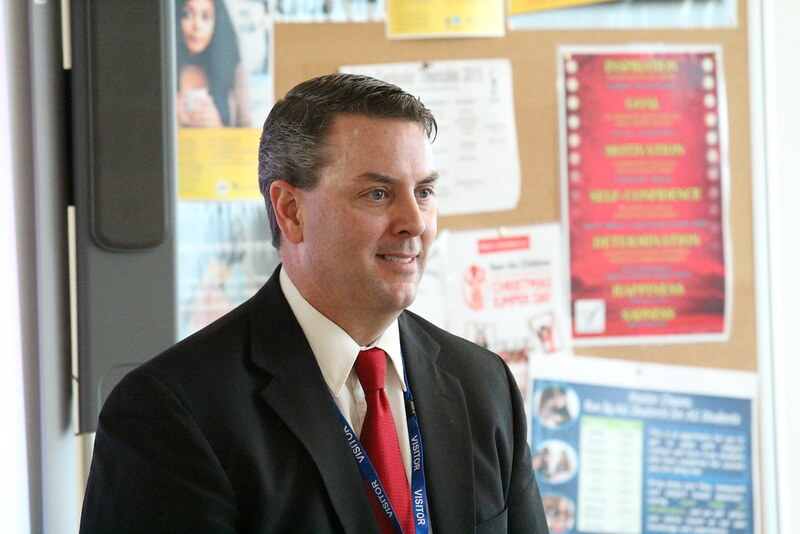 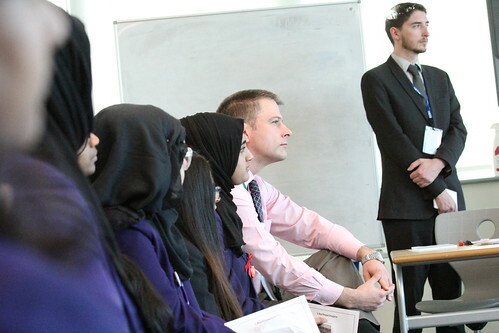 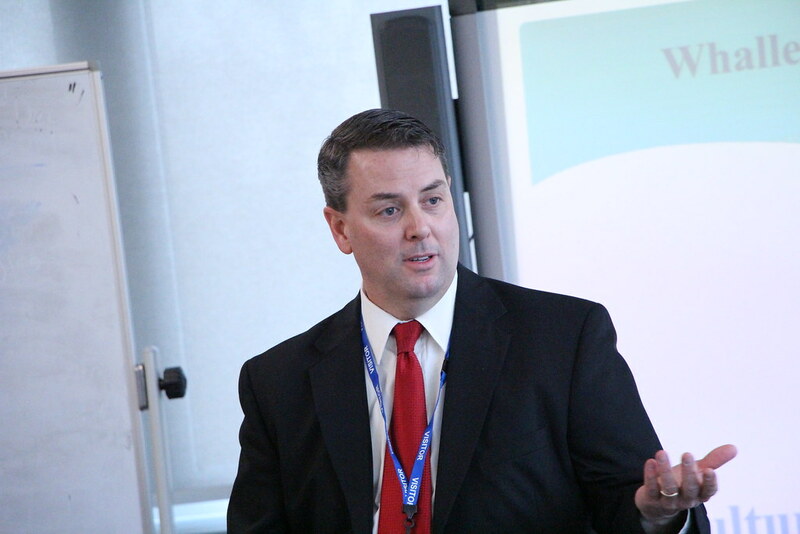 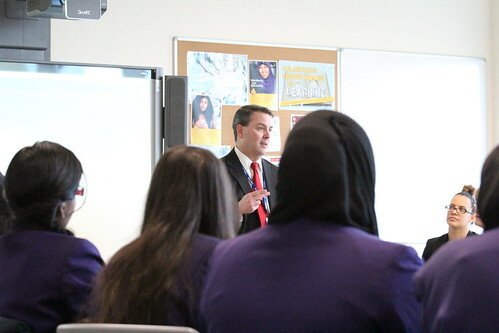 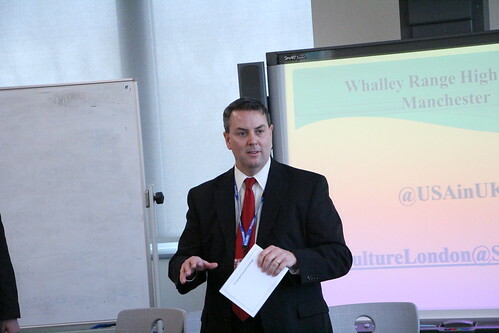 Economic Officer, Darren Perdue from the U.S. Embassy in London recently visited Whalley Range 11-18 High School to discuss social issues and current affairs with a small group of selected students. 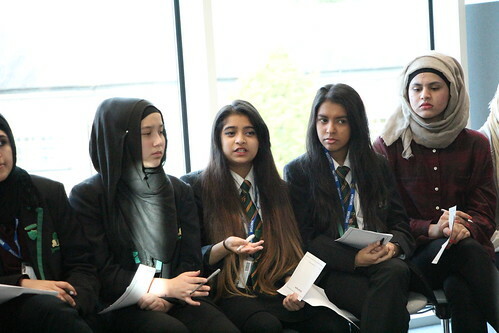 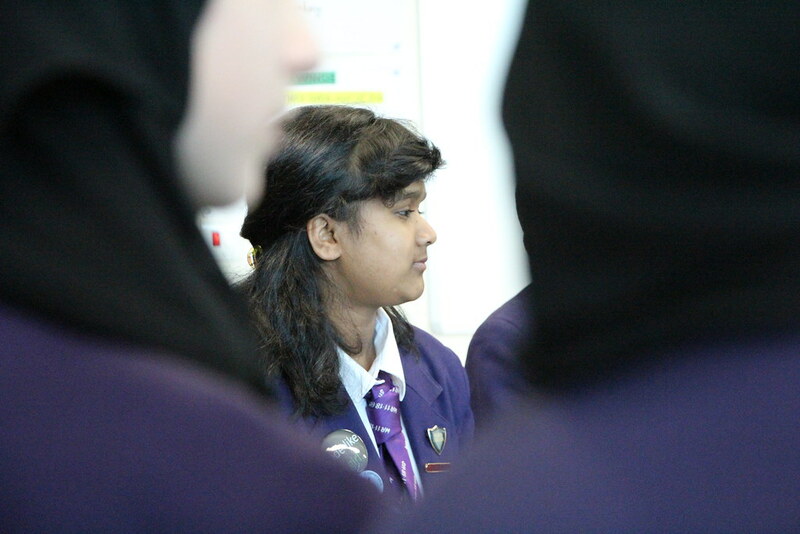 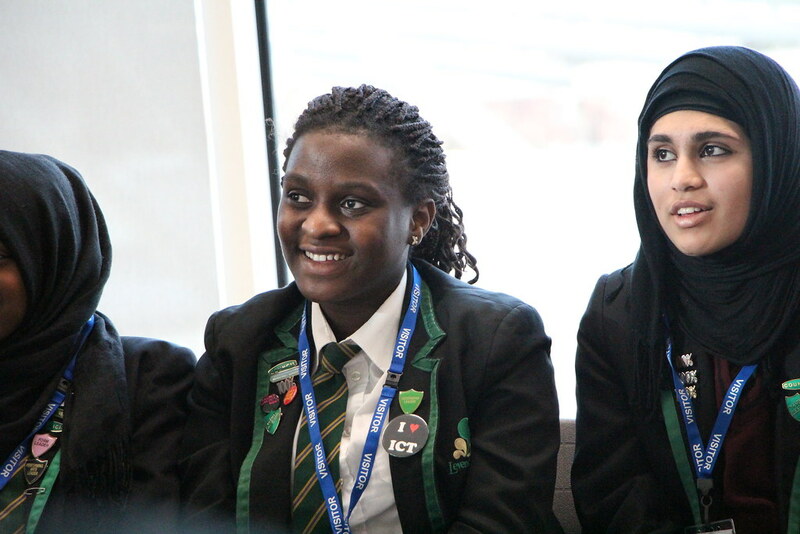 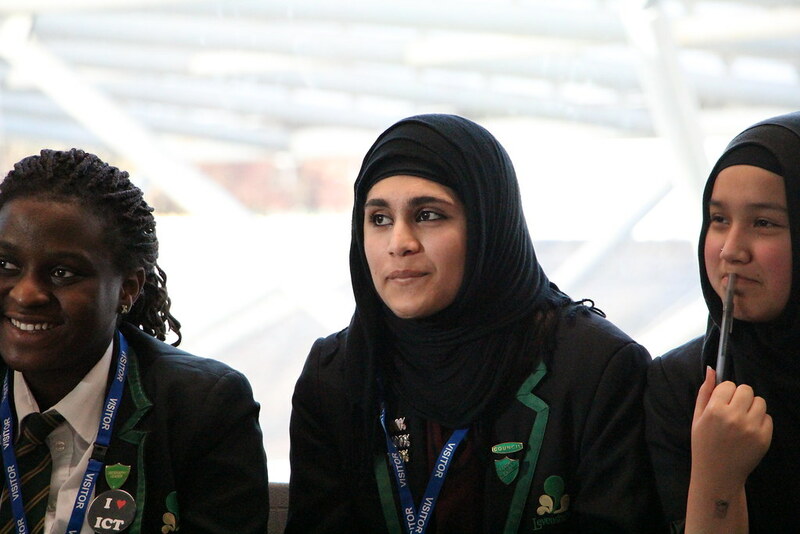 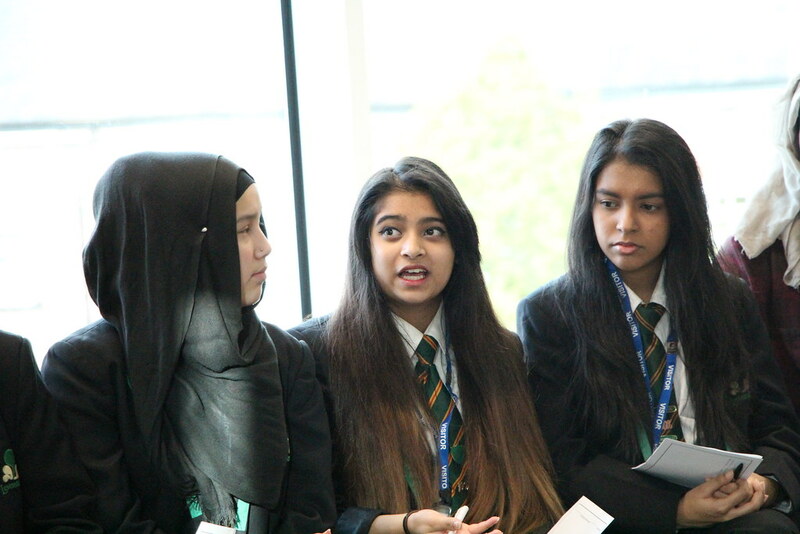 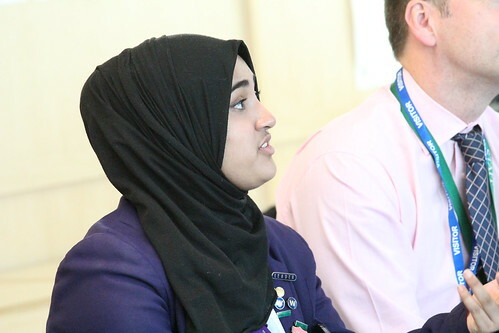 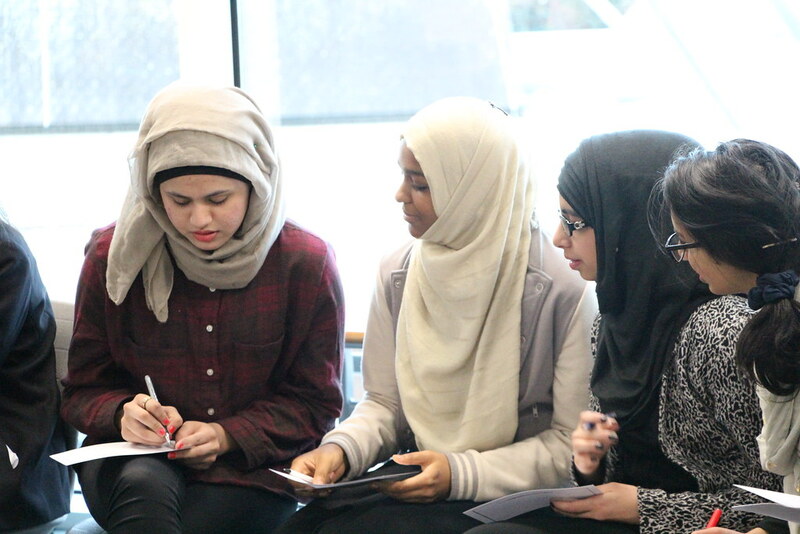 A number of students were also present from Levenshulme High School who have recently joined Whalley Range in the newly formed Education and Leadership Trust which hopes to strengthen its reputation for quality education in Manchester. 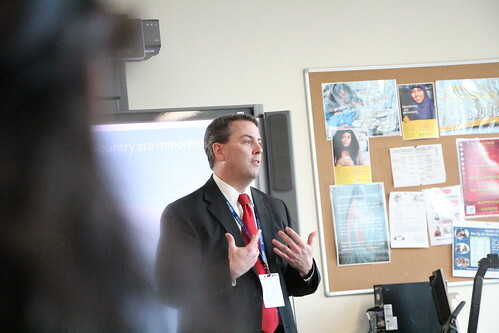 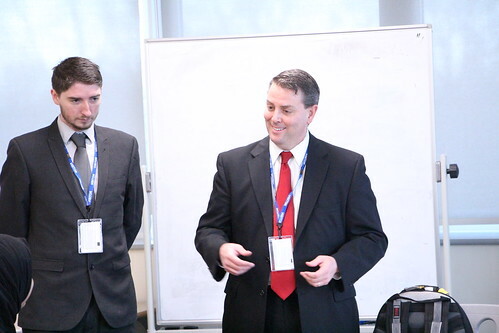 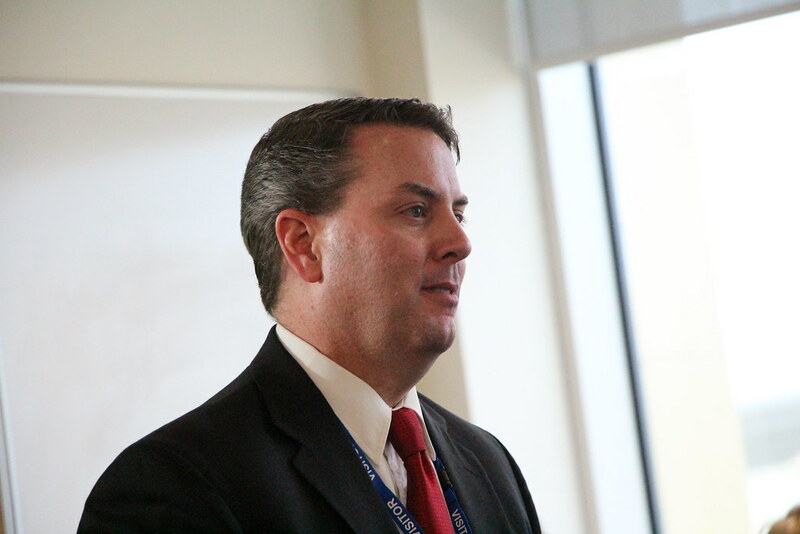 The talk consisted of a presentation on the U.S. government’s involvement in many issues around the world followed by a Q&A with the students. 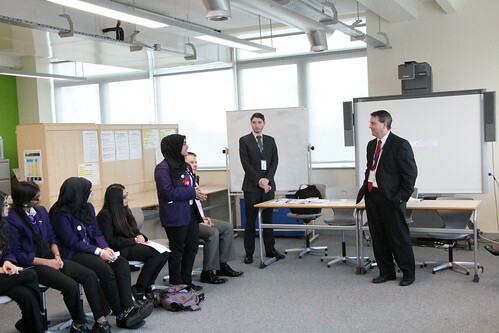 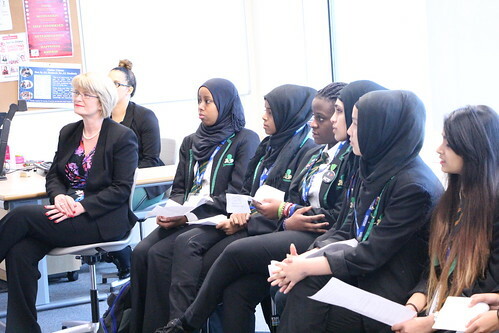 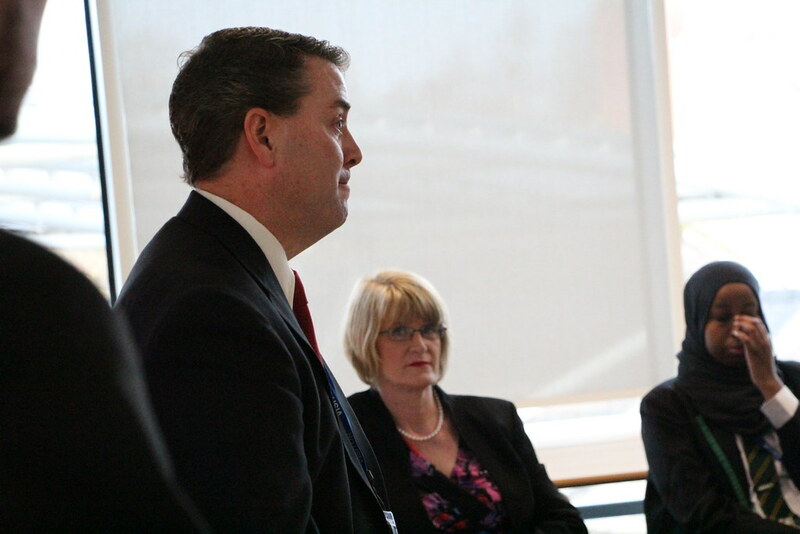 The Embassy’s desire to broaden its engagement with young people ‘Beyond London’ was the main focus of the visit and thoughts surrounding the idea that Manchester could become a ‘Northern Powerhouse’ were discussed. The level of questioning from both sets of students ensured many relevant questions were addressed from gun laws to terrorism and issues that concern young people on both sides of the Atlantic were raised. 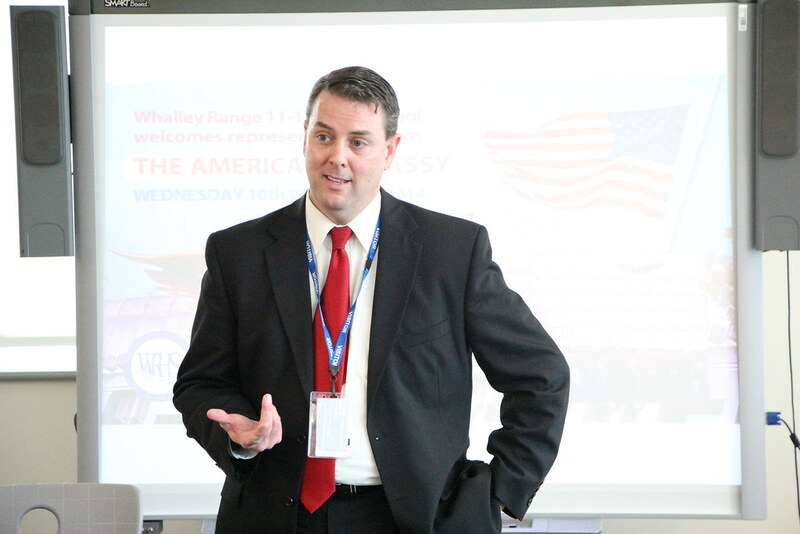 We were delighted to welcome visitors from the American Embassy in London into school to meet a group of students from both Whalley Range and Levenshulme. 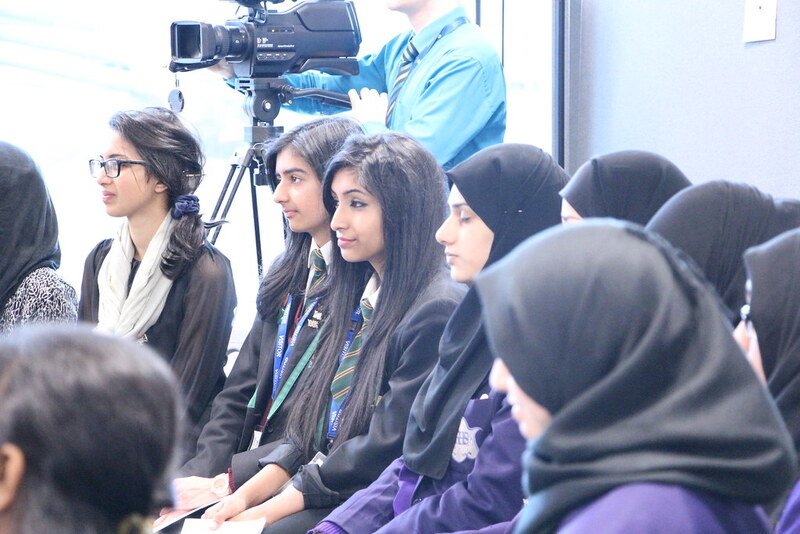 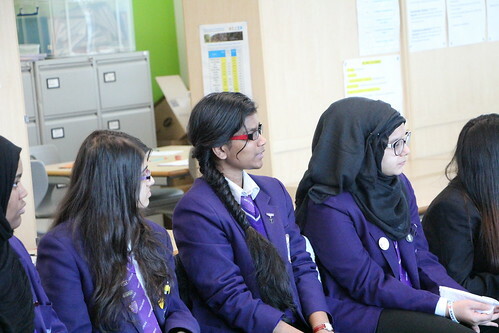 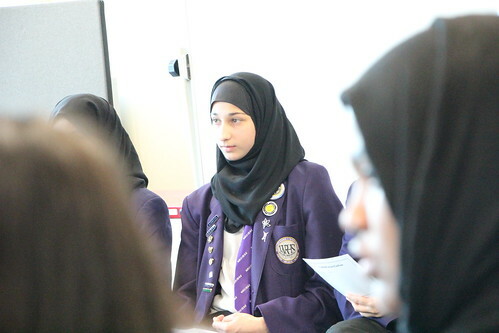 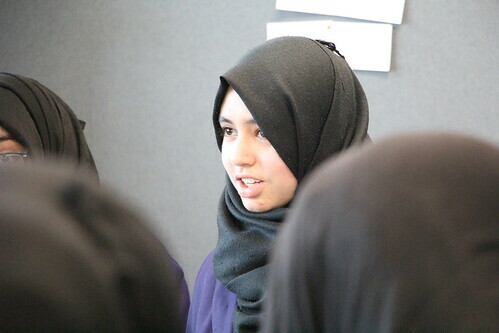 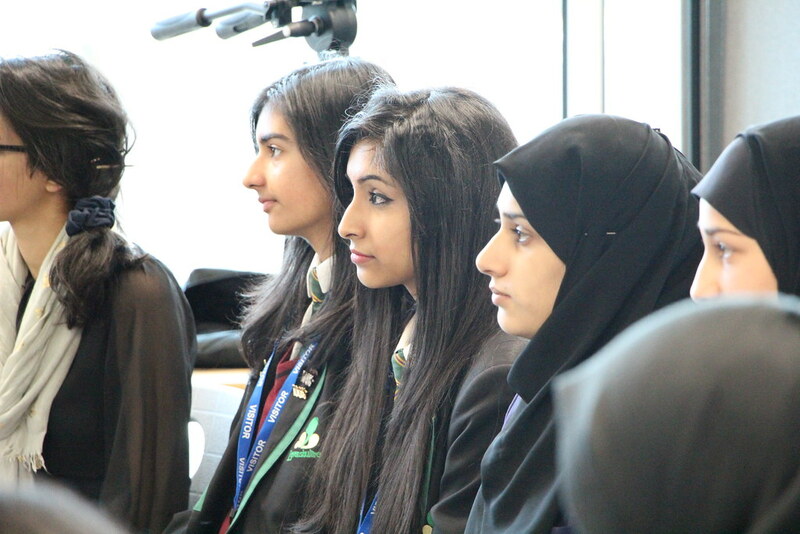 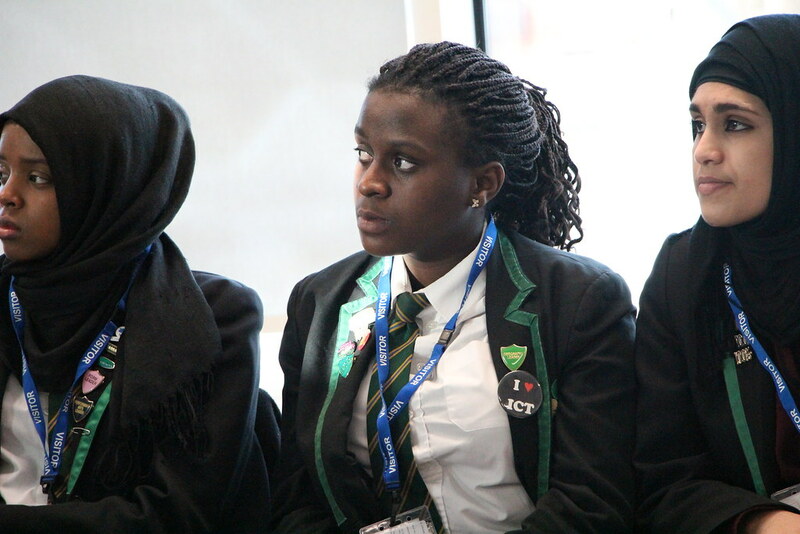 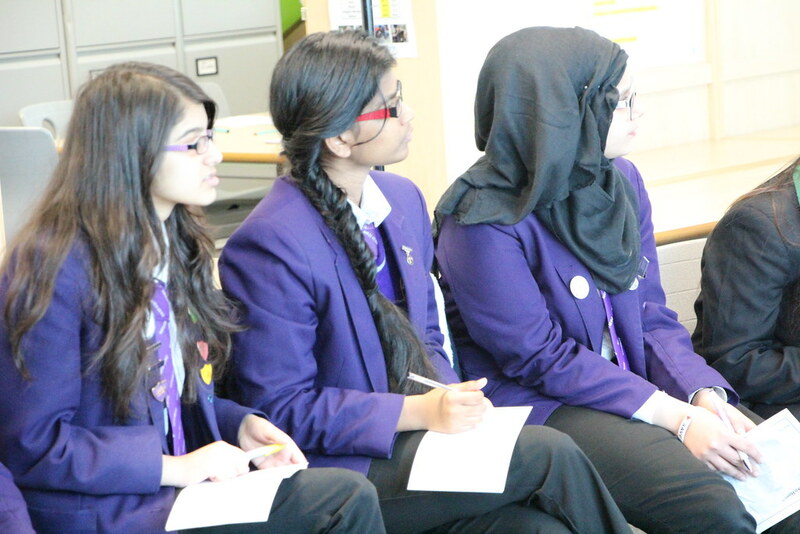 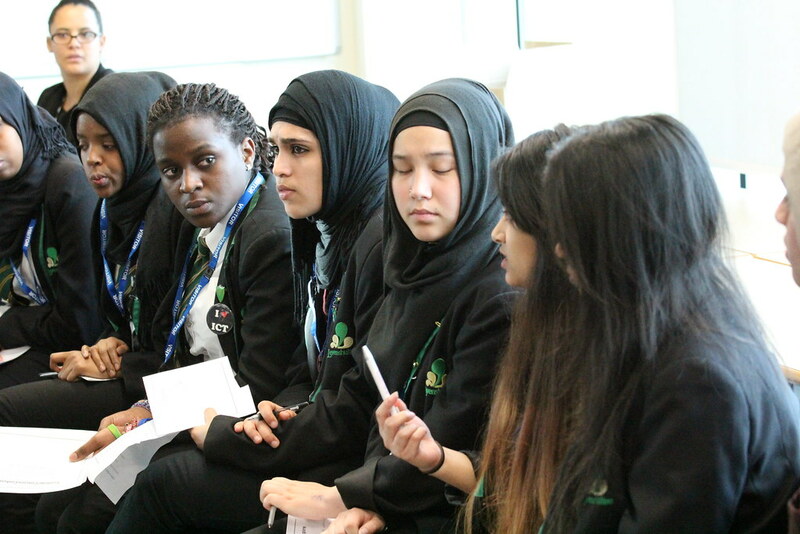 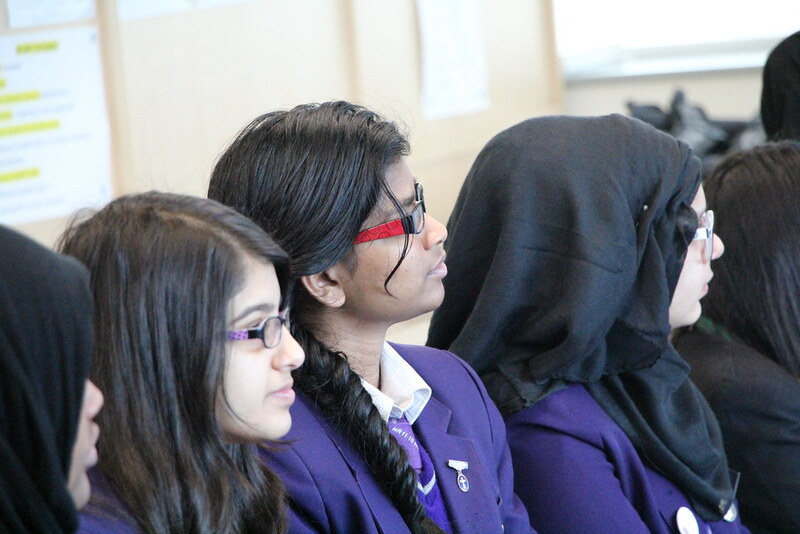 The girls had prepared thoughtful and challenging questions and the visitors were keen to listen to our students and understand their perspective. The talking continued long after the visitors had left and all parties had gained greater insight into the complexities of challenging situations and the different contexts around the world. The U.S. Embassy will continue its good work by meeting with students from other areas of the country in the coming year and encourage students to get involved in many of its rewarding leadership exchange programs.